Michigan voters recently defeated a renewable energy mandate by a nearly 2 to 1 margin. Since Michiganders desire cheap, clean, abundant electricity, should we try again to mandate higher percentages of renewable energy? Or is there a wiser path? Industrial wind facilities are similar to that disappointing Christmas toy, the one that says “batteries not included” – only worse. While our parents could scramble to purchase batteries necessary to restore household tranquility, no practical means exists to store wind energy’s volatile energy production. Nuclear power plants are not permitted to cycle up and down to balance wind’s variability. So Michigan wind facilities must have fossil-fired plants spinning at nearly 100 percent of wind’s theoretical output online at all times to ensure grid stability: 900 megawatts for every 1,000 MW of wind. This means there is no such thing as wind energy machines by themselves. Wind plants cannot replace coal, gas or nuclear plants. At best, they can reduce small amounts of fossil fuel generation. So the more correct phrase for wind energy is fossil/wind. Because wind cannot stand alone, the cost of wind energy production must be added to fossil generation costs. No matter how cheap wind becomes, it is a surcharge on top of fossil generation. So what then is a wise energy policy for Michigan’s future? Nationally, coal generation is most affordable. But Michigan has no useable coal resources. Because Michigan must transport coal long distances, it is at regional disadvantage for cheap coal generation. But Michigan is uniquely positioned to extract natural gas from its own abundant Antrim Shale. And the great news is that, if one is serious about reducing emissions, converting coal generation to gas generation results in at least 60 percent greater emissions reduction per dollar spent versus adding intermittent renewables like wind. Perversely, increasing the percentage of wind penetration beyond a certain point actually increases emissions. Electricity is an overhead cost for all industry. The U.S. steel industry consumes $18 billion of electricity annually. With 100,000 steel-making employees, just a 10 percent increase in electricity costs adds a $1.8-billion surcharge – the equivalent of 20,000 (former) employees earning $90,000 a year. This demonstrates how critical low cost electricity is to Michigan’s heavy manufacturing economy. Near term, given its geography, a wise policy for Michigan would abandon renewable energy mandates and focus on gas extraction for electricity generation, transportation, job creation and government revenue generation. 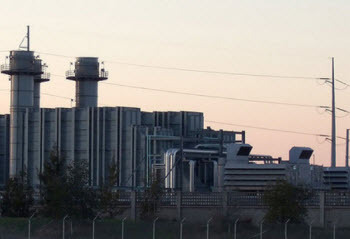 Long term, acknowledging that fossil fuels may be finite, and absent a technological breakthrough that would provide useful capacity from other energy dense fuels, nuclear power is the only carbon-free generation that can be scaled sufficiently to provide reliable, clean, abundant, affordable electricity. Very good article...especially acknowledging that natural gas is finite (though how finite is debatable), and for the need long term to rely on nuclear. However, you have vastly understated the long term potential of nuclear...because you're stuck in the traditional LWR paradigm. Today, 95%+ of mined uranium is not consumed, it becomes "waste". There is four times as much Thorium in the earth as there is uranium. Using molten salt reactor technology demonstrated successfully in the 1960s, Liquid Fluoride Thorium Reactors (LFTRs) will revolutionize energy and power production, burning 98% of the Thorium and also the accumulated wastes of 50 years of LWRs. We can safely and cleanly power the world, at vastly increased levels of energy use, for millenia. That is important, because the most valuable commodity in developing and impoverished regions is energy. With abundant energy we will provide light, heat, cooling, desalinated water, medical isotopes, and industrial power. It will be a moving force for world prosperity and peace when it is universally available. Other countries are working on it. The US is mired in radiation psychosis, Carter-itis and sierra club lawfare. I agree with Mr. Olsen. Fossil fuels are finite, difficult for the environment and very "big business". They have their place in the energy grid for the near future but at some point once the technology of alternative sources is fine tuned (that is what is happening right now) wind, solar, biomass and hydro will take their own place in the energy grid. And it is about more than just cost or convenience. The fact that alternative energy sources overall do less harm to the environment than fossil fuels is a factor to be seriously considered in any design of the energy grid. Enough said. Environmental concerns and its impact on everything appears secondary to business as usual for Mr. Martis. We treat Mother Nature as a placid, family pet rather than the growing, angry pitbull she is becoming while we feed her the steroids for global warming. Our energy policy should include the rapid development of wind energy along with a variety of other energy sources and strategies to reduce pollution and implement, safer, renewable resources. Half of our oil consumption is attached to the automobile when trains safe lives, energy, household budgets and the environment. Growing corn for ethanol is not a viable renewable resource when it raises the cost of food for the global poor. Thankfully nuclear power contamination is Japan's nightmare at this time. We can spend billions on unnecessary wars in Iraq and on jailing pot smokers, but we cringe on spending money to save our planet? Our problem is foresight and will, not cost. JOE, Here are some quotes from a press release from the Renewable Energy Foundation on Dec 19 2012 http://www.ref.org.uk/press-releases/281-wearnandntearnhitsnwindnfarmnou... "The Renewable Energy Foundation  today published a new study, The Performance of Wind Farms in the United Kingdom and Denmark, showing that the economic life of onshore wind turbines is between 10 and 15 years, not the 20 to 25 years projected by the wind industry itself, and used for government projections. " "Dr John Constable, director of Renewable Energy Foundation, commented: “This study confirms suspicions that decades of generous subsidies to the wind industry have failed to encourage the innovation needed to make the sector competitive. Bluntly, wind turbines onshore and offshore still cost too much and wear out far too quickly to offer the developing world a realistic alternative to coal.” So "the rapid development of wind energy" that you are asking for is basically unreliable, a waste of time and a waste of taxpayer money as the author Mr Martis states. Well written and accurate article by Mr. Martis. A major problem in the USA's energy policy and practice in recent decades is that decisions are increasingly being made by politics rather than by science and economics. The rapid rise and now fall of the solar and wind energy sectors is due to government interference in terms of tax incentives and grants of public money that come and go. If wind energy and solar energy were so attractive economically, there would be entrepreneurs and utility companies installing them anywhere they could to tie into transmission lines and make a profit. Wind and solar cell technology have been around for decades; yet in a free market they don't and won't make it. When Consumers Power Co. gave up on the Midland Nuclear Plant around 1980 and converted the plant to natural gas turbines, I was concerned about sharply rising nat gas prices over the long run. I believed at the time that the limited gas should be reserved for heating of homes, schools and business, etc. because it is clean and requires inexpensive equipment burn it. (We don't want homeowners and businesses burning wood or coal or using expensive electricity to heat their homes). That Midland project started a trend; 2 of the 6 units at Karn/Weadock in Bay City have been converted to gas. Fortunately, gas prices did not skyrocket, due to increased exploration and drilling. A major improvement in reducing the need to build new electricity capacity would be in lighting. Commercial buildings and parking lots burn their lights 24/7. I remember the days when auto dealers and stores turned their lights off at night. Not today, presumably for security. If we could push faster on developing LED and other lighting technologies that use a fraction of the power of conventional lights, billions of $ could be saved. The article and comments seem to discount solar energy completely. Distributed solar, on or adjacent to major electrical consumers, has the potential to significantly reduce distribution and outage costs (as much as 20% of total electrical costs in Michigan), improve the environment in many ways and tap the ultimate source of energy in our solar system. Solar output correlates well with peak energy demand, thus replacing the most expensive energy as a first step. And with recent cost reductions in solar, it seems very likely that solar could be cost competitive even in Michigan if we had a rational, consistent solar program that supports the development of a solar construction industry in Michigan. Current on again/off again and lottery programs operated for the benefit of Michigan utilities instead of electrical customers are very counterproductive to the development of solar in Michigan This is particularly unfortunate considering the large solar materials and products industry in Michigan and the associated employment. Ultimately improving battery technology will allow solar to compete on electrical supply 24 hrs per day. Mr O 'Rourke AWEA http://www.tomadamsenergy.com/2011/11/14/imaginary-globe-spanning-superd... This is a great article on how geospatial separation is an ineffective remedy to intermittency. And by the way isnt the study from EON that Mr Martis quotes a grid operator from Germany I believe that is in Europe and also a member of the AWEA board. So who are we to believe the lowly blogger from the AWEA or a study from an AWEA boardholders company? Detroit news aug.2011 Michigan approves DTE wind energy plan,for $ 485 million 20 year renewable energy contract to buy 120 megawatts from tuscola bay wind LLC. to power 30 000 homes. check out richard van der venn Windpower .HmmmmmNO wind gues what you stop breathing to. "The only source cited to support the author’s false claim that wind energy increases emissions turns out to be a paper paid for by oil interests. Probably not the most scientific of studies." This report was prepared by E. ON. They are a German grid operator, developer of wind energy projects in the US and a sitting board member of AWEA. And if one looks closely at AWEA"s board, you will realize it is dominated by fossil fuel companies: http://www.awea.org/learnabout/aboutawea/bod.cfm So if we are to use your rationale of discrediting anything sponsored by fossil fuel companies, AWEA's testimony must likewise be stricken from the record. No matter how you feel about Prop 3, much of the information contained in this article is incorrect. Here is a good video on how we keep the lights on that will help to clear some of this up. http://m.youtube.com/#/watch?feature=plcp&v=gSiCRZcJnfE&desktop_uri=%2Fw... Mr. O' Rourke, however, has the right information in his comments. Many people do not understand the science behind how our power system works. Hopefully, Bridge magazine will in the future help to promote more science based information exchanges. The IEEE Power and Energy Society www.ieee.org is a good starting point.